Karate Belts - What Are They..? Karate belts are an adaptation of the Kyu / Dan rank system of Kodokan Judo. The father of Japanese Karate Gichin Funakoshi who was an acquaintance of the founder of Judo Jigoro Kano introduced the step-up Karate level system to signal a student’s progress in the study of the art. Today’s system of belt colors, the one used in Shotokan Karate, is based on 20 steps. Ten for the Minor preparatory grades 10th Kyu through 1st Kyu and a further ten for the Major grades 1st Dan through 10th Dan. The color of a Karatekas belt indicates her rank and in theory, her ability. Each step forward represents a further accumulation of skills and knowledge. Outside of Japan each ‘minor’ Karate Level known as Kyu is indicated by a different color. 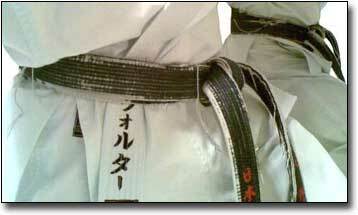 Some Karate Styles also use black stripe attached across or along the belt. There is less emphasis on belt colors in Japan than elsewhere. There most Karate Styles use only 3 colors; White, Brown and Black. A Karate Black Belt indicating a rank of first Dan and above wears a plain black cotton or silk covered belt, usually embroidered with the wearers name and/or school. In some Karate Styles a red belt is worn to denote a very advanced Dan rank. Belt colors generally get darker through each Karate level towards Black Belt. This may be symbolic of the time when a plain white sash (Obi) was used to tie a plain white tunic for practice. If a student trained often enough, the white Obi would eventually darken. This seems a likely reason for the Karate Black Belt to symbolize the most advanced Karate Level. 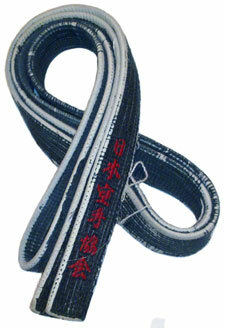 Karate belts are used to indicate when a student has been promoted to the next level. Improved Karate technique and deeper knowledge of the 3 elements of Kihon (basics), Kata (form) and Kumite (sparring) needs to be shown before the next Karate level can be awarded. To advance to a new Karate level, the Karate belt holder takes a formal test called a Karate grading examination. 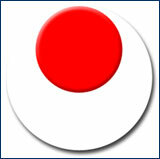 Karate grading examinations for higher ranks include practical, oral and written requirements. These vary depending on the Karate level being tested. The requirements of Karate grading tests are usually determined by a peak body and subject to certain rules. As an example, the Japan Karate Association Karate grading syllabus is detailed here. This system is used throughout the world. Test content and the order of Karate belt colors may vary slightly from country to country. It takes great skill to assess a student for promotion to an advanced Karate Level. A physical test displays physical ability which is fine up to a point. 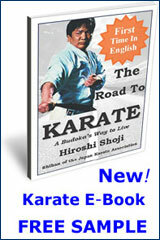 A written or spoken test goes further and taps into the underlying knowledge of the advanced Karate black belt. Intangible qualities such as emotional confidence, discipline and leadership don’t just come from time spent training. Examiners must ‘see’ and recognize these qualities in advanced students. The evolution of an individuals skill and knowledge beyond the senior black belt ranks is hard to grade. It is beyond technique. It lies in the person’s insights and their ability to pass on what they know to other students. Like any test, the Karate Grading exam is not a perfect way of assessing competence. Passing a test that results in a license to drive an automobile does not make a good driver. A Karate Belt Holder is only as good as his/her ability at every training session. A Karate Grading test acklowledges ability at a 'point in time' - the true test of a person’s Karate Level is their ongoing commitment to the art. The awarding of Karate Belts should be a fantastic time for both the examiner and the student. When the result of long diligent practice of Karate technique is displayed by a student at a serious Karate Grading examination, and when the performance is assessed by a competent, responsible examiner - everyone wins. Any other way and Karate loses.